I've been planning this "big project" for the past 3 weeks now. I say "planning", but it was more like procrastination, because I was actually a bit nervous about this one, since I've NEVER done anything like this before. I had no clue how to make a rosette. Well, I finally found the courage and the time (in the same day) to jump into it head first, and just go for it. So, I went for it and here's what happened. Won "Best In Show" at LambAround. It's a rosette Christmas tree. Yaaaaay! It actually worked. I did it and it's beautiful. Why was I so afraid? I guess I wasn't too sure how it would work out, but turns out it was fun and very relaxing. I even created my own little tree-topper with jolly old St. Nick and the Gingerbread Man. I gotta admit - I had fun with this one. I﻿ simply cut and scored the decorative paper using my super-duper paper trimmer and scoring tool (scored at every 1/2 inch). Then, I accordian folded the paper and attached the ends to make each rosette. The Christmas tree is composed of pages from the "Happy Holiday" paper pack by K & Company as well as "Jolly Holidays" by Doodlebug Design. O Christmas tree, O Christmas tree, how lovely are your Rosettes. LoL! Wow! My tree was voted "Best In Show" over at LambAround blog. 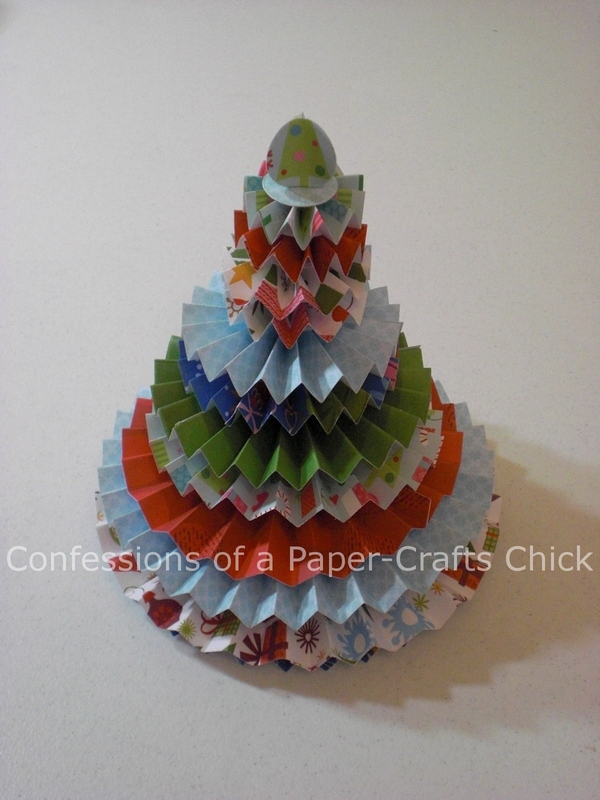 I was also featured in the "25 Christmas Tree Crafts" at Craft Gossip . 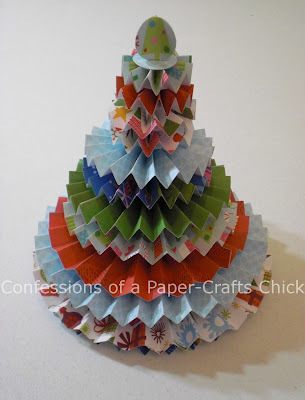 I was feauted on "Sew Woodsy"
What a fun version of a Christmas tree! I love all the papers! Tenia - Thanks for dropping by my cozy, little blogspot. And thanks for your comment. You should try this one. It was fun, fun, fun. Great post! Hopping over to say good morning! Hugs! P.S> please stop by for a visit and don't forget to enter the giveaway. This is as beautiful as it is creative. Thanks for sharing this great project! i'm a new follower. can't wait to read more of your posts. Congrats on trying something new! This tree is just lovely. I haven't seen one like this before! Love it! Thank you for linking up to Homemade Christmas! That's really cute - I love all the different designs for scrapbooking papers (even tho I don't scrapbook). I seem to collect them. I'm following you now and will definitely be back. Tina "The Book Lady"
I am your newest follower and would love a follow back! And check out my giveaways and enter a few! Wow, for being afraid looks like you nailed it! Out hoppin, come by when you get time. -Crystal, thanks for stopping by and commenting. Glad ya like my little creation. I will definitely head over to Three Jewels In My Crown (i love the name). -Hi Tractor Mom. Glad you like. Glad you like and thanks for following, too. -Hi Katie, thanks for the giveaway and thanks for coming to hang out at my blog. -Thanks Lynn. I appreciate that sweet comment. 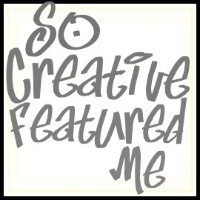 -Hi Michele, Thanks for hosting the handmade link-up. This was fu, fresh and new. This was a great project for me. -Hi Tina, I'm not a big scrapbooker either, but I do love paper-crafts. :o) Glad you like the papers. Thanks for stopping by too. -CP: Welcome! I love new followers. Now you're a part of my blog family. Thanks. -Lucy, you're right. I think I did nail it. :o) Thanks for your comment. Also, I'll hop over to your blog soon. -LambAround: WOW! What can I say?!?!? Thanks for including me in the nominees for best in show. I really appreciate. I like that post. Guess what gang. I was voted best in show over at the LambAround blog. Please vote for me and my Rosette Christmas Tree. 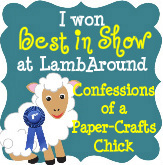 Visit LambAround blog, then click my name, Confessions of a Paper-Crafts Chick, then click VOTE! Thanks for joining Say Hi Sunday and following! I'm now following you back. Following you from To the Top Tuesday Blog Hop. I'm a new follower from To The Top Tuesday! I would love for you to follow me back! Very cute! 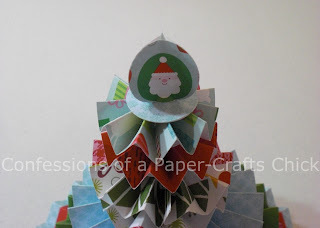 I'm doing a Christmas craft linky if you want to link up and share. Very cute! I voted for you! You're winning! Visiting from the "Show Me Your Tree" blog hop! Merry Christmas! The rosettes and tree turned out really lovely, but my favorite part? That you busted through the nerves! Very cute! Good thing you tried it! Thanks for checking out my blog! I'm glad I came over and checked out yours. oh how cute!! I had no idea you could do so much with paper!! Happy holidays! 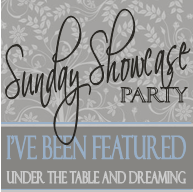 I’ve been following your neat blog from Social Parade blog hop. My Facebook page “Inspire” has inspiring messages. Stop by! Following from Friday Social Parade! Hello, we just found your blog and love it. Here at www.LittlePinkDesigns.com we love to find inspiration for our products from different places! We have you bookmarked and look forward to reading more! -Alicia, thanks for that. Yes, I "busted through the nerves" and got it done. :o) I'm glad. Now, I know that I CAN DO IT! -Sweet T..., Happy Christmas Eve to ya. Glad you like the Christmas tree. Ooooh weeeeee, another linky. I'm on my way. :o) Thanks. -To Sew With Love, Thank you. Glad you like my little creation. -Amanda, Wow! This is wonderful and I really appreciate it. Thanks for linking to my fun Christmas tree and posting to the CraftGossip site! I'm loving the love. -Seven Sisters, thanks. I've been exploring this crafty side for a couple of years and I think it suits me pretty well, too. -Lindsey, thanks for visiting from the blog hop and following, too. I'll be "hopping" back at ya soon. -Jenn, thanks for stopping by to say hi. 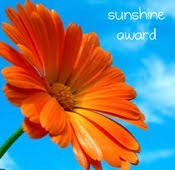 :) Wow, two nominees. This was actully fun. I'll bet your donuts were yummy, too. -Tara, glad ya like and thanks for the follow! EVERYONE - Have a Merry Christmas and Happy, Happy New Year! Get ready to give yourself a nice, big pat on the back - you were voted Best in Show! Congrats! WONDERFUL, SUPER, AWESOME! I actually won! The Rosette Christmas Tree was nominated and voted "The Best In Show" at LambAround's blog. Thanks to all of you who voted for me and thanks to Lamb for nominating me. Thanks gang!!! I will definitely come and check ya out. LOVE your Rosette Christmas Tree! Just wanted to let you know that I featured this awesome project at Sew Woodsy today! 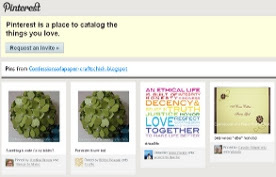 Please stop by and grab a featured button! Katie - WOWZERS! Thanks for the feature. I really appreciate that and thanks for stopping by. Following ya! This is too cool! Glad to know it was fun and relaxing to make. 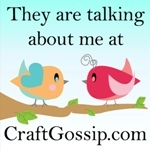 Thanks for linking up to Scrappy Saturdays! Featuring this tonight! This looks awsome!, joining you from the Friday Blog Hop! 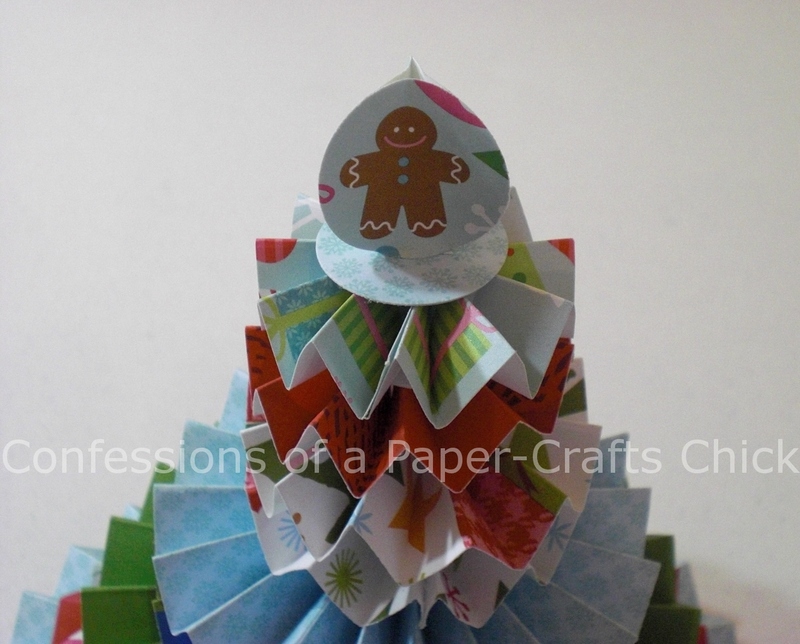 I used to love my paper crafts, but two small kiddies put a stop to that, seeing some of your amazing creations is making me want to get my stash out again, yay! Thanks! I had a ball making this cute little tree. Hopefully, you find a little time (maybe during the kids' naptime) to craft a little. I luv it. Thanks for stopping by.